Bioroids and Bombots: Weapons: Tecs and Black-market Shotguns. 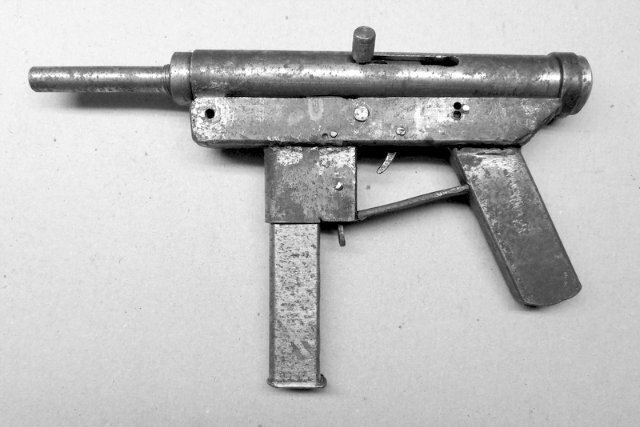 Tecs (aka Tex, Teks etc) are simple sub-machineguns designed for very easy production. Not surprisingly, perhaps, they resemble sten-guns with a vertical magazine. Tecs use the 9mm MAX cartridge, widely available on the black-market. Tecs vary considerably with respect to details such as stocks, barrel shrouds, sights and other fittings. The chief division is by barrel length. Long-barrelled tecs will often have some form of stock fitted, which may be folding. 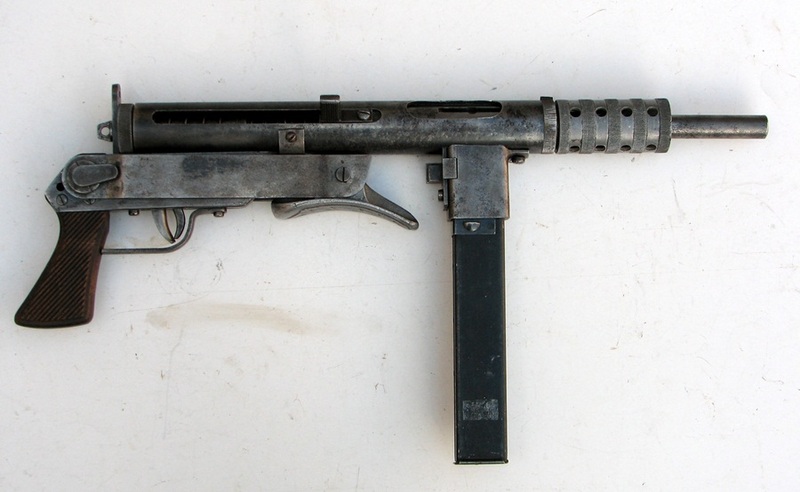 Shorter-barrelled “machine pistol” tecs are often stockless, although this is not a defining feature. Tecs fire from an open bolt but the low power of the 9mm MAX cartridge allows for a relatively light bolt so bolt movement does not disrupt aim as much as one would find in 20th century SMGs. Tec users are usually more concerned with volume of fire and intimidation effect rather than pinpoint accuracy. Also used with more compact 14 round magazine, Wt 0.65. Profile given for a stockless model. Shotgun ammunition is particularly easy to minifacture or even to hand-make. As well as being used in legal and illegal firearms they are also used in devices such as Boomsticks. Illegally produced shotguns will probably resemble legal models other than their lack of serial numbers. More concealable “sawn-offs” are popular with some criminals for robbery or executions. p.HT(4e)106 for sawn-off rules. Below is a selection of weapons suitable for illegally produced shotguns. For the double-barrelled guns entries are given for full length, sawn-off and sawn-off stockless models. The Whippet 20 gauge is a very compact weapon. The tube-magazine shotguns represent repurposed hunting designs that have changed little since the 20th century. While slow to reload their shape makes them easier to conceal. Entries for both pump-action and autoloader versions are given. The “Auto-stakeout” is a compact autoloader that is also available in a model about the size of a large pistol. The Police riot guns represent illegal, untraceable copies of modern box-magazine loading weapons. Illegal copies may lack features such as HUD and laser sights. Increased muzzle blast. +1 to Hearing and Vision to locate firer in the dark. ST+2 if fired one handed. Rof =2 when operated as a pump action.